Last winter, as blizzard snowfalls piled up into several feet in the nation's capital, conservatives mocked global warming alarmists for trying to link weather incidents to global warming. But as summer heat waves, volcanoes and sinkholes have appeared recently, climate alarmists proved they missed the point. A top Obama administration scientist attacked global warming skeptics during the winter by pointing out that "weather is not the same thing as climate." ABC's Bill Blakemore argued the same thing in order to defend the existence of manmade global warming on Jan. 8, 2010. But Associated Press, USA Today, The New York Times and The Washington Post have all promoted a connection between the extreme heat and weather around the world this summer and global warming. One CNN host asked if the events were the "apocalypse" or global warming. The Huffington Post proposed naming hurricanes and other disasters after climate change "deniers." Want to see a textbook example of how the left has tried to frame the debate against extending the Bush tax cuts? Take a look at Cenk Uygur, of "The Young Turks" fame, playing the class warfare/populism card. On MSNBC's Aug. 17 broadcast of "The Dylan Ratigan Show," Uygur was up in arms over the argument that taxes shouldn't be raised by allowing the Bush tax cuts to expire. He alluded to Berkshire Hathaway CEO Warren Buffett, who made the case in 2007 that the wealthy should give more to society. "Look at what Warren Buffett said," Uygur said. "He's talking to 400 wealthy donors and he says, ‘Look, the 400 of us pay a lower part of our income in taxes than the receptionists do, than our cleaning ladies do. For that matter, if you're in the luckiest 1 percent of humanity, you owe it to the rest of humanity to think about the other 99 percent.'" And Buffett has been a long-time advocate of higher tax rates - something easy to be for when you're one of the richest men in the world. However, Uygur says it's not good enough for Buffett to be charitable. According to Uygur, this "giving" must come in the form of "mandatory" higher taxes. 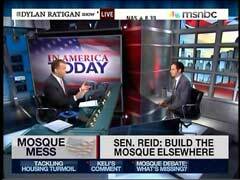 MSNBC's Dylan Ratigan on Monday dismissed the controversy over the Ground Zero mosque as a "political smokescreen." The liberal anchor derided opponents of the planned construction who live in other states, sneering that there are "people in Kansas, California, Alaska, saying 'Oh my God. The sky is falling. The Muslims are going to kill us! It's all going to end!'" He compared, "But, the people in Tribeca and Soho who are just, kind of, getting a cup of coffee." Earlier in the segment, Ratigan wondered, "But is all this back and forth just a political smoke screen? Polls show a majority of Americans struggling with the same conflict as the President's statements and his expressions." 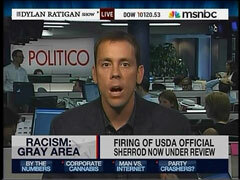 Appearing on Wednesday's Dylan Ratigan Show on MSNBC to discuss the Shirley Sherrod controversy, Politico co-founder Jim VandeHei pointed out the NAACP's role in fueling racial accusations: "If you think about this, where this thing started, the NAACP comes out and makes this charge against the tea party movement." VandeHei rejected the NAACP's claim of racism in the political movement: "It's a very, very diffuse group. You cannot say that they are racist anymore then you can say the Republican Party's racist or the Democratic Party is racist, so it creates this culture and it's a dangerous topic, it's a dangerous fire to light, and then when it happens this is the outcome." Explaining how the NAACP charge led to the accusations against Sherrod, VandeHei observed: "I'm not defending Breitbart. But conservatives are outraged, they feel like 'listen, you're – because I'm part of the tea party movement you say, therefore, I'm racist.' And so what Breitbart's arguing is 'I want to push back.'" On his July 20 afternoon program, Dylan Ratigan shouted down the Washington Examiner's J.P. Freire for challenging the MSNBC host's liberal orthodoxy and accusing him of giving more air time to the liberal panelist appearing opposite him. Eschewing any sense of balanced reporting, Ratigan thundered: "I said I'm in charge of the show. I decide who I'll talk to. I might spend the entire time talking to Jonathan Capehart and not talk to you at all. And then you can choose never to come on my show again." "I'm sorry, Jonathan was taking up a lot of my time earlier in the segment," explained Freire. "Look at the amount of time he's been talking and the amount of time I was talking." Ratigan then wondered: "...for a movement, however, that prides itself on having no formal ties to the federal government, forget the aspect of being full of crap when it comes to the banking system, why are the Republican Party members and tea party members so receptive to getting together?" He posed that question to his guests, left-wing talk show host Cenk Uygur and former Bill Clinton speechwriter Michael Waldman. Uygur couldn't agree more with Ratigan's assessment: "You took the words right out of my mouth. She [Bachmann] is so full of crap. I mean, she might be the queen of crap." He then proclaimed: "All she's ever done is protected the bankers....I guess the tea party movement, in essence, is actually about protecting the richest people in America. Wow, what a populist movement you have there." Waldman took the conversation even lower, as he argued: "The Republicans would like to benefit from the...neurotic energy of the tea party. But they don't really want them in the front parlor. They don't want everybody to identify their extremism with the Republican Party, just the way the Democrats didn't want the Weathermen determining the face...At the front of the house." The Weathermen, or Weather Underground, was a anti-war domestic terrorist organization during the Vietnam war era. Barack Obama associate Bill Ayers was a member. Leave it to Dylan Ratigan, one of the star personalities at MSNBC who seems to be constantly looking for a reason to be angry. "Do you want to get raw?" Ratigan said. "Let's say that the American people happily, logically apathetic are perfectly happy basically with a slave culture of illegals and outsourced slaves in China making iPhones at Foxconn and that for as much as we talk about the liberation of the slaves and we like to pat ourselves on the back for the Civil War - got a big statue of Abe Lincoln. All we've really done is alter the color of some our slaves and moved them to other countries. Is that too extreme on my part, Matt?" In a July 9 post on www.loudobbs.com, Dobbs let fly bashing the staff at his one-time competitor for "two gems that can't be ignored." "MSNBC guest anchor Cenk Uygur filled in for the equally insane and inane Dylan Ratigan and pushed the crazy idea that President Obama is a conservative," he wrote. The video of the segment is all there because Dobbs embedded it from the Media Research Center. 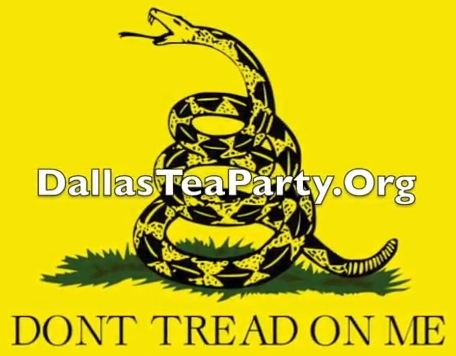 Dobbs, who still has a talk radio show, then went on to criticize Uygur's twisted logic that, Uygur's words Obama "seems to have bought into the Republican talking point on deficits." Then he went on criticize "the old-standby, Mr. Tingle Up His Leg Chris Matthews" for saying there are only two camps in the nation - "those who want things to improve and those who want to see the country, and therefore the president, fail." For the second day in a row, liberal talk show host and MSNBC guest anchor Cenk Uygur pushed the outlandish notion that President Obama is a conservative. Filling in on July 7 for Dylan Ratigan on his 4 p.m. show, Uygur exclaimed, "I didn't realize we voted for a Republican president!" Uygur preceded this statement with a rant on how ridiculous it is for Obama to express concern about the ever-growing deficit when "60 percent of Americans favor additional government spending to create jobs and stimulate the economy." Uygur and liberal guest Ryan Grim of “The Huffington Post” could not understand President Obama's rationale for focusing on deficit concerns. Grim argued that, "when people say they are concerned about the deficit" they are just really saying that, "they are nervous about the economy. That's all they mean. So if you solve the economic problems, you're going to solve the deficit concerns." He wondered why the media hadn't reported on the supposed radical shift in American politics and quickly came up with this explanation: "Why the media didn't challenge it is because they [conservatives] kept calling them the liberal media, and why did they call them that? Because during civil rights, they [the media] said 'yeah, black people and white people are the same' and the conservatives at the time said 'damn liberal media,' and, you know, that intimidated the media into not recognizing this trend." Uygur's liberal guests, author Linda Monk and Wesleyen University professor Claire Potter did not disagree. In fact, Monk made sure to criticize President Eisenhower for his views on civil rights: "...let's not be too celebratory of Eisenhower. He did stand up for the desegregation decisions. He did his job as president. But privately he was known for saying that racial desegregation was social disintegration, so he perhaps wasn't as progressive on the race issue as some would interpret his actions to be."